YAOUNDÉ, Dec 5 2013 (IPS) - Lydia Njang, a widow and mother of five from Cameroon’s North West Region, has lost her farmland three times. The first time was when her husband died and her in-laws inherited his land. Although they gave her use of another plot of land, she had to give that up when her brother-in-law married. After that she was allowed to farm on a third plot of land, but this was eventually sold. “I’m left with a very small plot of 150 square metres, where I can only grow corn. But this is not even enough to feed my family. Before I had farms in very fertile places and I used to sell my surplus harvest, but I no longer have the right to farm there,” Njang told IPS. Mary Fosi from the Myrianthus Fosi Foundation, a local NGO involved in promoting a sustainable environment in Cameroon, told IPS that Njang’s experience was a common one in this West African nation. “The rich buy large portions of land for investment, leaving the poor community members, most especially women, with nothing to farm on and [leaving] poor people to fight over the remaining small pieces of land,” Fosi said. Though Cameroon’s economy is experiencing positive growth of about 4.9 percent, it is clear that gains from this have not been equitably distributed. Of Cameroon’s estimated 20 million people, 8.1 million live in rural areas, only 14 percent of whom have access to electricity. It is significantly lower than urban areas where, according to the World Bank, 65 to 88 percent of the population have access to electricity. Celestin Ondoa, a sub-director and rural development engineer at Cameroon’s Department of Rural Engineering and Improvement of the Rural Living Environment, told IPS that if the poor were to benefit from any socio-economic growth, it was vital that they had a say in the decisions that affected them. “In the past stakeholders, including vulnerable women, youth, indigenous people and other marginalised groups have been excluded from the formulation and planning of development activities,” Ondoa said. “Communities in Cameroon lack access to basic services and are marginalised from social and economic opportunities. These populations grapple with land conflict, poorly-equipped infrastructure, corruption and land grabbing, which is aggravated by environmental degradation,” she added. According to Princely Njong, an organiser of the Equity and Sustainability Field Hearings outreach events for local communities, Cameroonians want land reform to be part of a policy of poverty reduction. The Equity and Sustainability Field Hearings is a project by Initiative for Equality, a global research and advocacy NGO, that provides ways for the poorest and most excluded communities to speak out and influence global dialogue and policy on sustainable development. “Local communities want development to be concretely supported by the provision of clinics, roads, schools, and access to land, agricultural inputs and markets,” Njong told IPS. Currently, the land tenure system in Cameroon makes it difficult for private individuals to acquire title deeds, as it is a costly, long administrative procedure that only the wealthy can afford. According to the 1974 Land Law, all unregistered land in Cameroon is classified as national land, which belongs to the state. This includes farmland and communal land held under customary law. Cameroon has also had a number of cases of land grabbing with hundreds of thousands of hectares of land being taken away from local communities. In Ocean Division, southern Cameroon, the government leased much of the local forestland, about 47,000 hectares, to international company United Forest Cameroon. In 2012 the government agreed to return 14,000 hectares to the 18 local communities in the area. In the Korup National Park in southwest Cameroon, a New York-based agricultural company, Herakles Farms, has been planning to start an oil palm plantation on 73,000 hectares. And in the North West region of Cameroon, millionaire ranch owner Alhadji Baba Ahmadou Danpullo has been accused by the indigenous Mbororo community of seizing their land. The Mbororo people are traditionally pastoral nomads. “This is not research but an effort to empower people. It empowers them to have a direct and collective community voice, which is much stronger than isolated individuals or the thoughts of civil society groups,” she said. 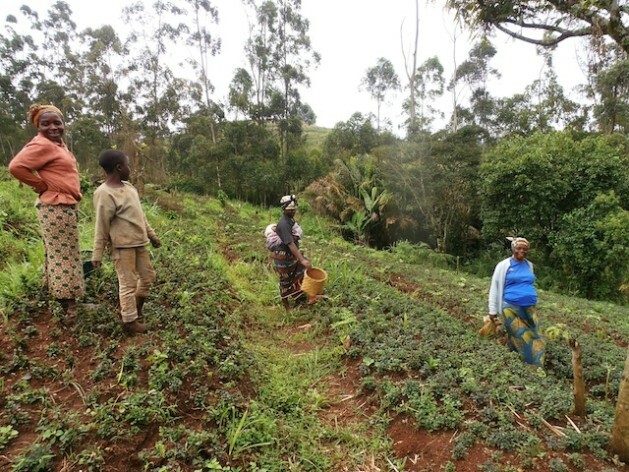 In the small agrarian village of Nshi-o-doh in Ndu, North West Region, Irene Kimbi knows what would improve her life – the re-introduction of a farming cooperative to her village. The community of about 1,500 people cultivates beans, maize and potatoes. “It could help us cope with farming and market difficulties and will also reduce poverty in our community,” she told IPS.